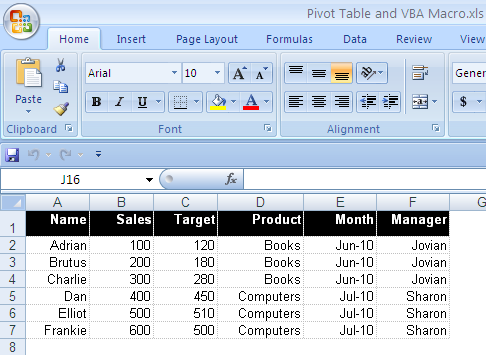 A Pivot Table is very useful in deriving meaning from data. This is also very helpful in analyzing and getting an overview on the relationship of the data between the columns and the rows. Manipulation of data, viewing of data in different perspective, and other data related action can be done in the Pivot Table. After you have created the Pivot Table and inputting data from your existing data on the workbook you can update the data in the Pivot Table. Also, while updating your data you can also change the design of the Pivot Table with your own preference without altering the current data and information n your table. Aside from giving you the freedom to update the data in the Pivot Table, you can also organize the data in a very organized manner. But, before anything else you must input first the data in Microsoft Excel. Also, while inputting your data do not forget to set or select the “preserve formatting on update” selection or dialogue box. In this manner, any update on the data on the Pivot Table will automatically take place. Also, this command will immediately save changes on the data and even after refreshing it. Likewise, remember that the update on the data of the Pivot Table will only take place if the original data is updated or changed. In another manner, if the Pivot Table you have created is linked to another Pivot Table but still in the similar workbook, in another workbook, or unto another source or data base, you can always perform the operation to refresh to update the data on you Pivot Table. Every time you update your data base, make sure to refresh your Pivot Table to acquire the recent updates on the data you have inputted on your data base. Also, you can command that the Pivot table be automatically refreshed every time you add, input, or update data.